Enjoying your favourite dram of malt whisky is a great way to unwind and relax. The variation of different types of whisky now available in the supermarket, specialist shops, bars and online from the likes of masterofmalt.com is like never before. 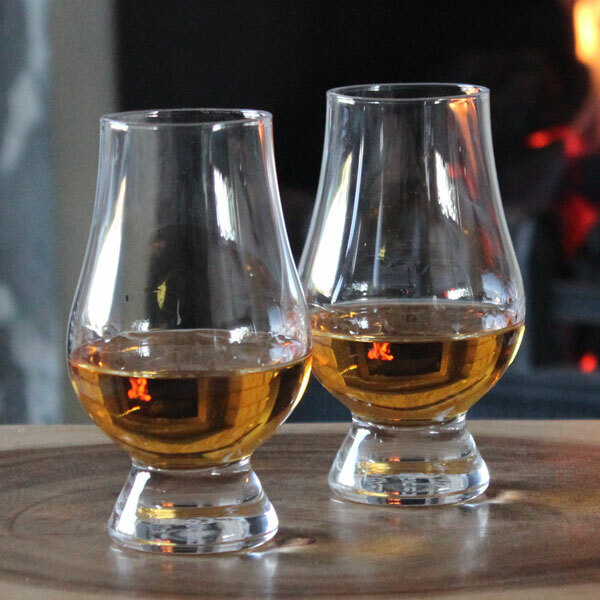 Whisky is definitely booming in the UK so making sure you maximise your enjoyment of the fine stuff is definitely what we care about, especially when you choose to use the right glassware. For years, many glass manufactures produced the standard short, heavy based tumblers which was supposedly great for Whisky. It’s still commonly used now, but mainly because of the variation of drinks you can serve with the same short tumbler. In our opinion, you certainly won’t get the best flavour and aroma from your whisky by using the short tumbler as opposed to a more specialised glass. In 2001, inventor and designer Raymond Davidson of Glencairn Crystal Ltd produced a glass that changed the way whisky could be enjoyed. The shape of this new whisky glass was similar to that of the traditional nosing copita glass that whisky distilleries in Scotland often use when testing and tasting their new make spirit. What makes the Glencairn glass perfect for all types Whisky is all in the shape and in the way it’s been designed. Thanks to the tulip style opening, the aroma doesn’t escape as quickly as it would normally do with the traditional tumbler. The narrow mouth opening allows for ease of drinking and the wide bowl allows you to fully appreciate the whisky’s colour and aromas. The sturdy solid base creates a comfortable grip, designed to be easy on the hand and makes the glass extremely robust. A genuinely beautiful piece of equipment that really ticks all the boxes needed in the simple pleasure of enjoying a glass of the golden nectar. The Glencairn official whisky glass was awarded the highly acclaimed Queen’s Award for Innovation in 2006 which helped boost the awareness and the credibility of the glass. Over the years it’s been heavily endorsed by all of the major whisky distilleries, master blenders and enthusiasts alike and you’ll be sure to find it around the World in many whisky bars. Here at Wineware we stock a great selection of the Glencairn Official Whisky Glass products which are all available with different packaging types which makes this brand the perfect gift for all whisky enthusiasts. 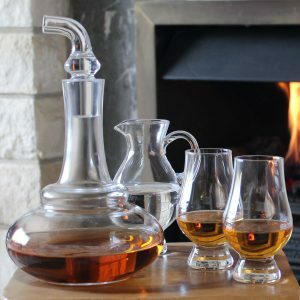 Glencairn also have their very own Canadian whisky glass, water jugs and even a Whisky Decanter shaped in the style of pot still!